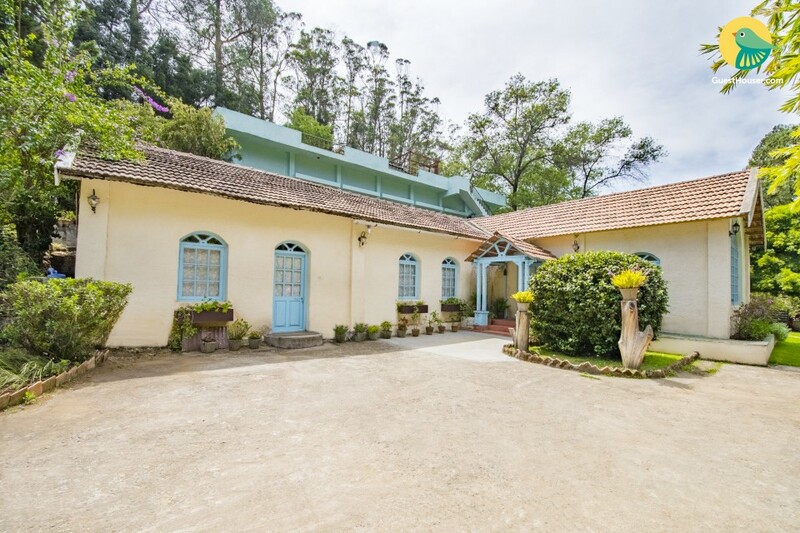 Situated 4.2 km from Ooty Lake, this is an offering of a four-bedroom cottage that can accommodate up to twelve guests. The property has a generous parking area, thereby making parking convenient for those on a road trip. 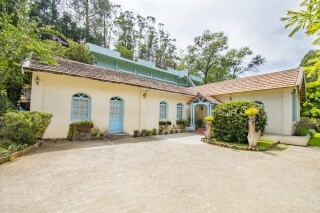 Stationed against the backdrop of towering trees, this stucco-roofed cottage has a yellow façade and contrasting blue conservatory doors and arched windows. 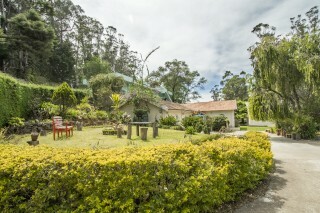 Perfect for those looking to rejuvenate, the accommodation boasts a well-trimmed garden and is equipped with benches. 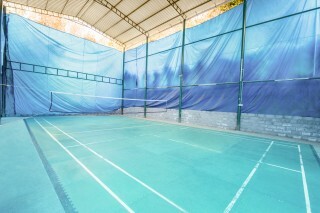 The property has an indoor badminton court, where you can enjoy a game without any hindrance of winds and scorching sun. 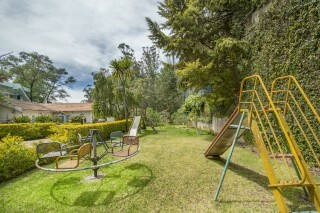 The accommodation has garden swings so that children can have their own leisure time too! 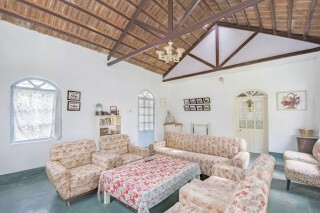 The interiors are aesthetically done up, with a living room that has a classic raftered ceiling, casement windows, and is furnished with elegant floral upholstered sofas and armchairs. Framed photographs, a cabinet, and artefacts add to the classic touch. 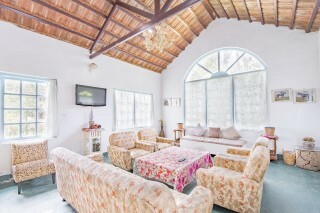 The seating area has cushioned wicker chairs, a rustic pastel blue bench, and a cabinet with myriad trinkets. The dining area has a dining table, where you can comfortably enjoy meals. Each of the bedrooms is done in distinct vibrant shade that adds cheerfulness to the space. 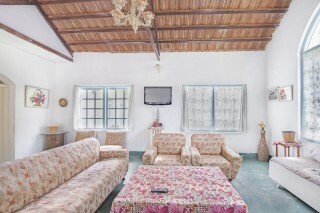 The bedrooms have fluffy double beds with a bedside tables and lamps and earthy cabinets for added comfort. Additionally, televisions, plush seating, and mirrors are also provided. The bathrooms are well designed and equipped with contemporary sanitary ware. Guests are requested to provide valid identification at the time of check-in. Breakfast is complimentary.